If you’re considering an anterior cervical discectomy with fusion (ACDF) surgery for neck pain, it’s common to worry about how much your neck will be able to move after the procedure. 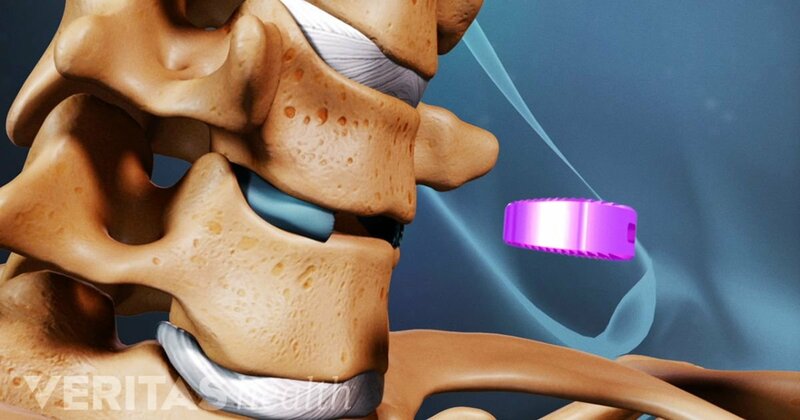 After all, one or more of your neck’s mobile joints would be fused solid and cease to move. So how will that affect your quality of life? Fortunately, ACDF patients typically have good outcomes, both in terms of pain relief and quality of life after the procedure. Here are three things to know about neck mobility following an ACDF. Unless your surgeon specifies otherwise, the overall range of motion in your neck after ACDF is likely to be similar to what it was beforehand. While the adjacent vertebrae are fused solid and no longer move, the other vertebrae continue to move freely and may even move more to compensate for some of the lost motion. Also, most ACDF surgeries are performed in the lower cervical spine, which is less mobile and less needed for basic neck movements than the upper cervical spine. It might seem counterintuitive, but sometimes a single-level ACDF can result in an increase in the neck’s overall range of motion compared to pre-surgery measurements. This may occur in cases where pre-surgery pain levels limit the neck’s range of motion, but reduced pain levels after surgery help restore movement. One potential drawback of increased motion at nearby unfused vertebral levels (above and below the fusion) is that they experience more stress, which may put those discs at risk of degenerating more quickly in the future (adjacent segment disease). Current medical literature suggests that single-level ACDF has a minimal risk for causing adjacent segment disease, but that risk may increase as more levels are fused. Even in cases where three or four levels of the lower cervical spine are fused, about 75% of the neck’s overall range of motion remains.2 That is more than enough mobility to perform daily tasks, which tend to only require 30% to 50% of the neck’s range of motion.3 In rare cases when more neck mobility is needed, methods can be learned to compensate. A common example is learning a new way to back up a car, which normally uses most of a healthy neck’s full range of motion. Some possible workarounds include turning more at the waist, modifying mirrors, and/or using a vehicle backup camera to avoid turning the neck too far. Choosing whether or not to have ACDF is a big decision. Fortunately, after fully recovering from the procedure, the neck’s range of motion is not something most patients have to worry about. To arrange an appointment with our Pain Management Specialist, Dr. Jeffrey Chacko, please contact our office at (516) 419-4480 or (718) 215-1888.